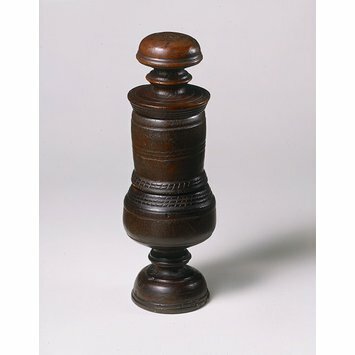 Spice mill in turned wood, baluster form. The upper part is perforated and is used to crush spice through the middle into the lower receptacle. Probably walnut. 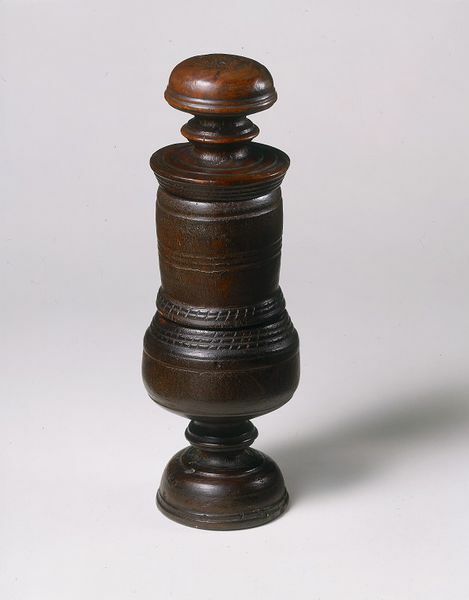 Spice mill in turned wood, in three parts, in baluster form. English, mid 17th century.